North of San Francisco, there’s a European-like fortress along the water that is “home” to over 3,000 prisoners. 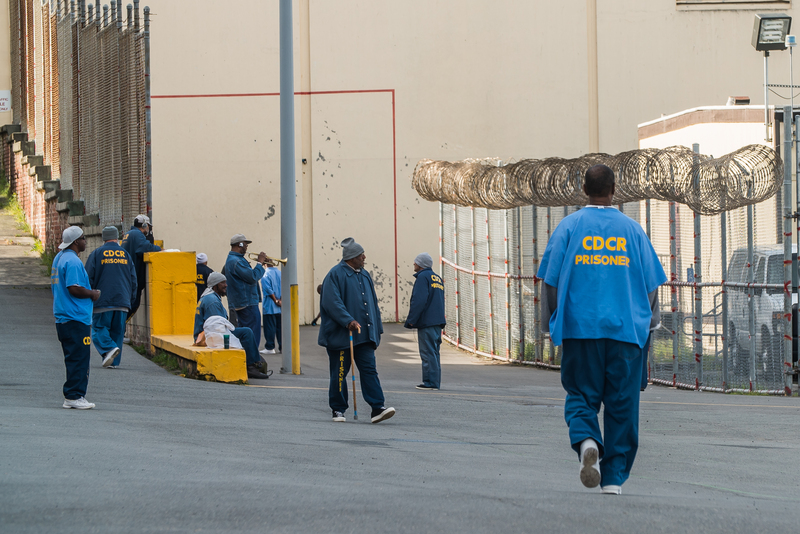 The surroundings are beautiful, but the tall walls of San Quentin, the oldest prison in California, make it almost impossible to be able to enjoy any of it from the prison yard. When I first entered the facility, one of the media escorts said heaven was on our right and hell was on the left. To my right was a chapel and places of worship for Muslims, Jews, Christians and Protestants. To my left was the adjustment center, where San Quentin’s more violent criminals are imprisoned. That’s the side closest to the only death row in California. Down the hill and past the yard — where one prisoner played the trumpet while some played basketball and others jogged — is where The Last Mile’s Code.7370 is situated. What used to be a printing factory is now the headquarters of the most innovative element of San Quentin. It’s where incarcerated people learn entrepreneurial skills, how to code and the elements of web design. Incarcerated individual plays the trumpet on San Quentin’s yard. 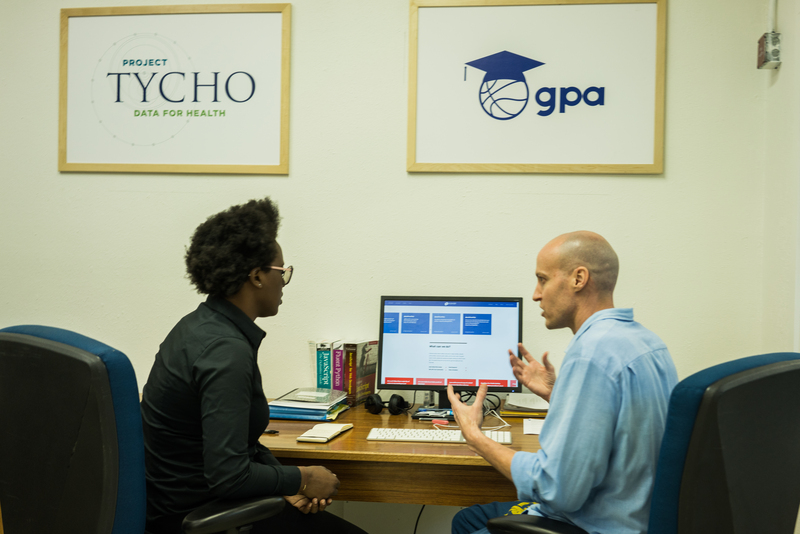 Yesterday, The Last Mile, in partnership with the California Prison Industry Authority and the California Department of Corrections and Rehabilitation, hosted its third-ever graduation and demo day for programmers and designers at San Quentin. 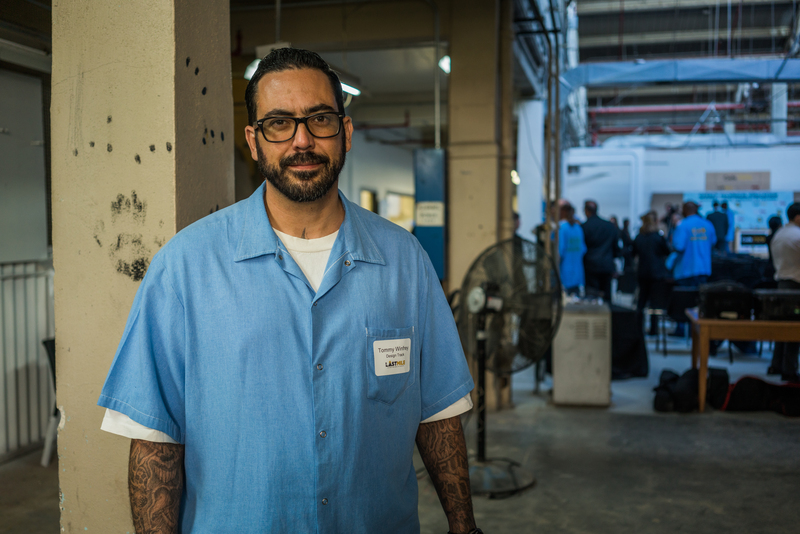 Shortly after entering the printing factory-turned-coding school, The Last Mile co-founder Chris Redlitz introduced me to Steve Lacerda who has been in prison for 11 years and will get out on parole in three months. Lacerda is part of The Last Mile Works — a joint venture program that works with organizations like Airbnb and the The Coalition for Public Safety to complete projects for them. Through TLM Works, Lacerda built a website along with a couple of other inmates for CPS. Lacerda and his teammates did this all without access to the internet. When he’s released on parole, Lacerda told me he wants to keep learning about computer programming. Steve Lacerda walks me through his process for developing the website for CPS. During the day, several people spoke about the importance of The Last Mile, including Redlitz, TLM alum Kenyatta Leal — who has gone from being a paid intern at Rocketspace to a campus manager to soon a member of the inside sales team — and Sirius XM producer Sway Calloway. Thomas Winfrey, who entered prison about 20 years ago on a life sentence, was the only graduate who completed track two of Code.7370 and the design program yesterday. Five years ago, he was accepted into the TLM entrepreneurship program. In the past six months, Winfrey took both the coding and design classes simultaneously. That means he was doing double the work as all the other students who had enrolled in one class rather than two. While design comes a bit more naturally to Winfrey, he couldn’t say the same for coding. Thomas Winfrey completed track two of Code.7370 and the design program. Although he was sentenced to life, Winfrey’s going to get a chance to pursue his dreams outside of prison. In January, the parole board found him “suitable for release,” likely in mid-May. That means he’ll be able to launch his business, TommyWinfreyArt.com, which is currently being run by his friends outside of prison who, unlike Winfrey, have access to the internet. He’s also looking to get a job in the design industry. Winfrey said TLM played a huge role in his being able to go to the parole board and convince the panel to release him.